Air Energy specialises in industrial pipework and air compression and has been supplying and installing industrial pipework systems since 1993. 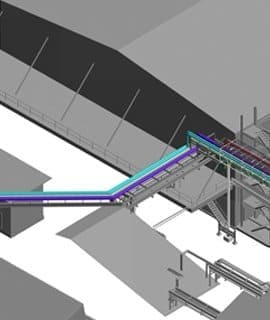 Through its dedicated team of industry-leading consultants, contractors and mechanical designers, Air Energy is renowned for its experience, expertise and personalised ‘best practice’ solutions. They provide a comprehensive range of equipment and services to companies in Victoria as well as Tasmania, SA and WA. Industrial air compressors and compressed air tanks or receivers are often the unseen ‘heart’ of many manufacturing/processing industries. The..
316L stainless steel pipework and fittings installed with no naked flame or hot work permits!Our Fittings Really Bite!What is Press fi..
Air Energy is a unique company, offering exceptional compressed air systems and is independently positioned to give unbiased specialist guidance on the best materials and equipment to key personnel, including Mechanical Designers, Engineers, Contractors or Owner/Managers. As we are strategically located less than 5 minutes from Eastlink, we have quick access to major industrial regions and efficient, Australia-wide distribution. See our map and contact us to locate your nearest outlet in our industry group. Our sales personnel are trained and experienced in the design, specification and hands-on installation of compressed air systems so they can share with you the benefit of customised solutions. With more than 2,000 satisfied clients, Air Energy has the breadth of industry experience to assist you with your project. Air Energy strives to be your preferred and trusted supplier of innovative and global solutions in quality, industrial pipework and compressed air systems. 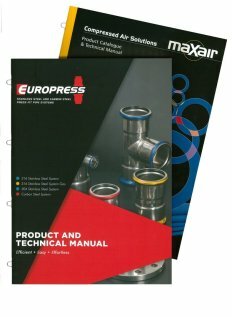 We are the original stockists of, and supply and/or install Europress premium quality 316 or 304 stainless steel pipework using high-quality press fittings or carbon steel pipe and press fittings. Click here for more information. Call us today on (03) 9765 5600 for your free catalogue. Find a range of world-class pipe systems with Air Energy. 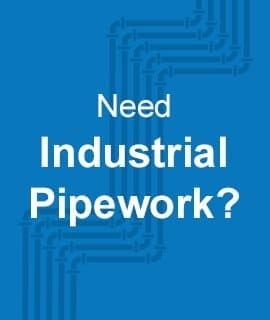 We competitively supply and install the best pipe systems for our clients’ specific applications. We provide robust and corrosion-resistant pipes such as stainless steel and polyethylene, including the renowned MaXair blue pipe system and Europress stainless press fitting system. Air Energy is Victoria and Tasmania’s trusted supplier of compressed air systems. We take care of our clients and our reputation by providing only the very best compressed air piping systems. Find products from the world’s leading suppliers including Atlas Copco, Sullair and Glenco Air & Power. Air Energy believes in energy efficiency through smart design. That is why we provide premium ancillary products to help our clients have significant energy savings. We offer a diverse range of vacuum pumps for various applications and flow rate requirements. Our vacuum pump types include centrifugal, claw, blowers, and screw. Reap the benefits of the abundance of nitrogen in the air we breathe, with the help of Air Energy. Nitrogen is being increasingly used in industry, especially food processing and laser equipment. Generate your own Nitrogen and save on expensive bottled supply. Ensure optimal compressed air system efficiency with our compressed air audits. We can help you determine the quality of your air and how much your system is costing you. Our methods include a visual check, data logging and an air scan, ranging from a section-focused audit to a full audit. Your customer service was second to none. Some months ago you discussed with me what I needed the equipment to do, and suggested several practical choices to make it easy. You even suggested alternative methods and suppliers to reduce the overall cost of the solution. If that wasn’t enough you also suggested practical advice on how it could all be mounted to make storage, handling, operating and training effortless Thank you. We are very happy with the work that has been done by Air Energy. We are very happy with the way the project has gone so far. We are due to have one of your installers out today to install air and water lines for our new moulding machine. I would like to pass on our thanks to yourself and your company for the works recently completed for Specialised Breeders Australia at Rochester. This was a large and complex project which was handed over on time and we certainly appreciate your company’s time and effort in helping us achieve the target date. It would be fantastic if I could say I received this level of service everywhere, but I can’t. It is a real credit to John and your team. Your customer service is a real inspiration to how I would like to interact with other people. We are very happy with the installation and Wayne did a great job when he was here. Personally I’d be happy to use you guys again and the Maxair system is very neat and versatile. Thanks to all at Air Energy. I would just like to add that your installer Steve was an absolute pleasure to deal with, an extremely good worker who just got on with the job, very impressed, so please pass on my thanks. It is so pleasing to have service techs. like yours on site that have a “can do” approach to the job and are so easy to work with, let alone the high standard of workmanship in the finished product. Works Manager - Confoil Pty.Ltd. The air connection to factory 2 went very well and Lou did an excellent job. Thanks for organising it so well and supplying us with exactly what we asked for. We are very satisfied, knowing we have an optimum system that is user friendly and the quality of workmanship leaves us with no regrets. We cannot understate the peace of mind in dealing with a Company that didn’t take short-cuts at the expense of doing the job right and their recommendation of PE for our application has been a bonus. Not only does the job work well but looks really neat and tidy. It makes the factory look a lot safer now that we don’t have air lines running along the floor. Air Energy have always given me the right advice and products that suited the application not only based on price but reliability and life expectancy. Contrary to some other plastic pipe systems I have full confidence in the MAXAIR pipe system and will be happy to recommend it as the optimum available on the market. Air Energy were an integral part of the team that assisted us when the compressed air supply was upgraded in our factory. A short note on behalf of Machined Plastic Products to express our appreciation for the prompt service and extremely competent advice we have received from your organisation. Just wanted to say thanks for the great work done on the install of the air compressor and dryer. John and Wayne from Air Energy did a great job and were very pleasant to deal with. Looks very neat and tidy. This upgrade has been very beneficial to the production and operations at our mill. I would also like to thank Air Energy for the great response time in manufacturing our accumulator and sending out all the air lines in such a short time.